XIAN, China: In a response to panda power, French President Emmanuel Macron is betting on equine diplomacy during his first state visit to China—presenting his Chinese counterpart Xi Jinping with a horse as a gift, reports AFP. The animal, a retired Republican Guard horse named Vesuve de Brekka, is in quarantine. But Macron will show a photo of it to Xi when they meet later Monday in Beijing. 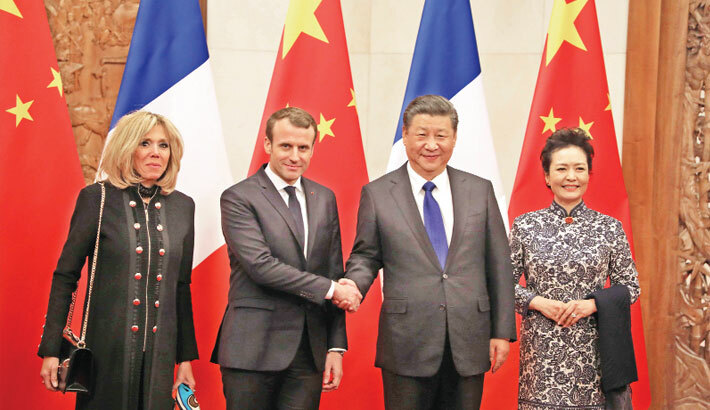 The French presidential office said Xi had been “fascinated” by their equestrian skills when he was escorted by the guard during his visit to Paris in 2014. “Wishing to have friendly ties with foreign heads of state, Emmanuel Macron wants to make more than a gift—a diplomatic gesture,” the presidency said. French President Emmanuel Macron urged Europe Monday to take part in China’s massive Silk Road infrastructure project but warned against “hegemony”, saying both sides should share the benefits.